Looking for a way to beat the heat this summer? You don&apos;t have to sit inside in the AC to stay cool. On your next visit to Lehigh Valley, why not head underground where you&apos;ll be able to experience mild temperatures all year round? On the western end of the region, you&apos;ll find Crystal Cave in just outside of Kutztown. The cavern was discovered in 1871 when some explorers were using dynamite to blast out limestone. 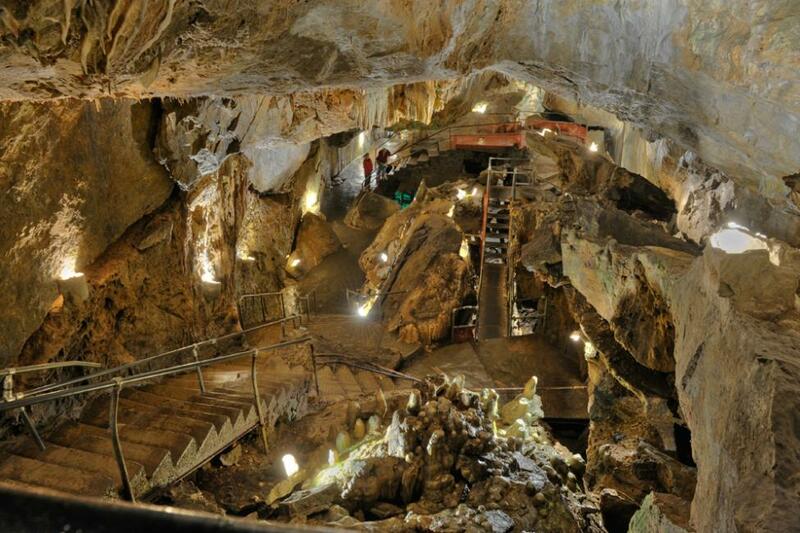 Since its discovery, millions have visited the cave to explore what lies inside. Guided tours are available where you&apos;ll get a chance to learn about the various rock formations present. Perhaps the coolest part of the tour is when the lights go out. In modern time, it&apos;s nearly impossible to experience true darkness. When inside Crystal Cave, your tour guide will briefly turn out the lights so you can experience what that level of darkness is like. Can you imagine exploring the newly discovered cave with only the guidance of the light from an oil lamp? On the other side of Lehigh Valley, you&apos;ll find Lost River Caverns in Hellertown. Similar to Crystal Cave, this cavern was discovered when miners were developing a limestone quarry, now where the parking area exists at the caverns. Inside the cavern, you&apos;ll find remarkably high ceiling heights. In fact, locals once used the cave for dances, community events, and even weddings! Known as the "Crystal Chapel," this section of the cave has hosted more than 100 weddings. How&apos;s that for a memorable ceremony? A visit to Crystal Cave and Lost River Caverns provides for an educational exploration for all ages. Guided tours are available at both caverns.